Has anyone ever heard of a load bearing wall? If you’ve done any sort of housing construction or been a part of a “reno-gone-wrong” then a load bearing wall may sound familiar to you. Basically, if you remove this particular wall within a home, the entire home has the potential to come crumbling down. Did you know that most boats have something similar to this? In the boating world, we call this piece the transom. The transom is the flat surface forming the stem of the vessel. It reinforces the stem and ultimately, keeps the boat held together. So the last thing you’d want is that good ole transom to rot, or break. If you live in Minnesota and you’re looking for transom repair & replacement, look no further than Anchor Marine Repair. Not only is it essentially the strongest part of the vessel, the transom transmits the full power of the engine to the rest of the hull. Tons of energy and power transfers back and forth within the transom, making it the most utilized and abused part of the boat. So doesn’t it make sense that for transom repair & replacement, you only want the best? Anchor Marine Repair can deliver just that. Every boat that is operated for a significant amount of time will eventually need a new transom. Unfortunately, not everyone can perform this type of MN boat repair service. It takes a skilled boating professional to perform proper transom repair & replacement. Rebuilding and installation skills are imperative and require a vast amount of knowledge about all different types of boats and transom styles. Many boats have different curves or splash wells that make each transom unique. Floors may have to be removed or rebuilt, which can not only be time consuming but extremely costly if you don’t know what you are doing. So why stress when Anchor Marine Repair can do the work for you? We are dedicated to ensuring that we fix your boat quickly, efficiently, safely, and beautifully. If your transom needs repair & replacement, our skilled technicians can handle it. We perform transom repair & replacements on all types of sizes and styles, including yachts and pontoons. 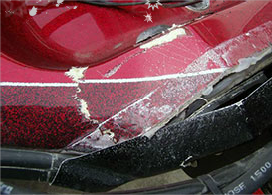 We not only assess the transom, but any other hidden damage as well. We know that the transom is a large component of the boat and if it’s not fairing well, chances are there may be damage somewhere else too. 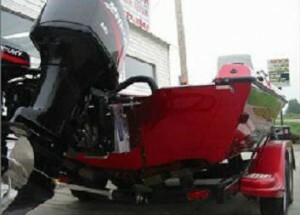 If you are looking for a transom boat repair shop in MN, look no further than Anchor Marine Repair. For more information on transom repair & replacement, give us a call today at 763-972-3540 or email us at service@anchormarinerepair.com.